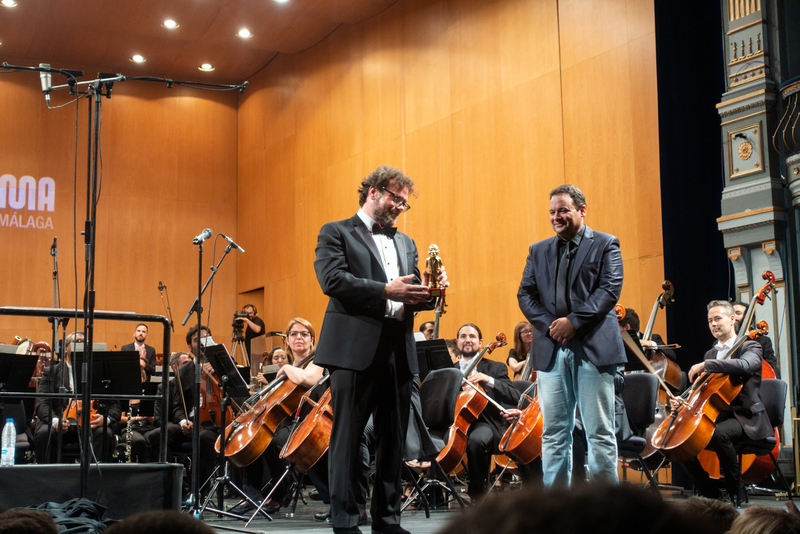 During MOSMA, the film music festival in Malaga, Spain, I had the pleasure to sit down with Christophe Beck, who was already wearing his formal clothes for the concert that night. 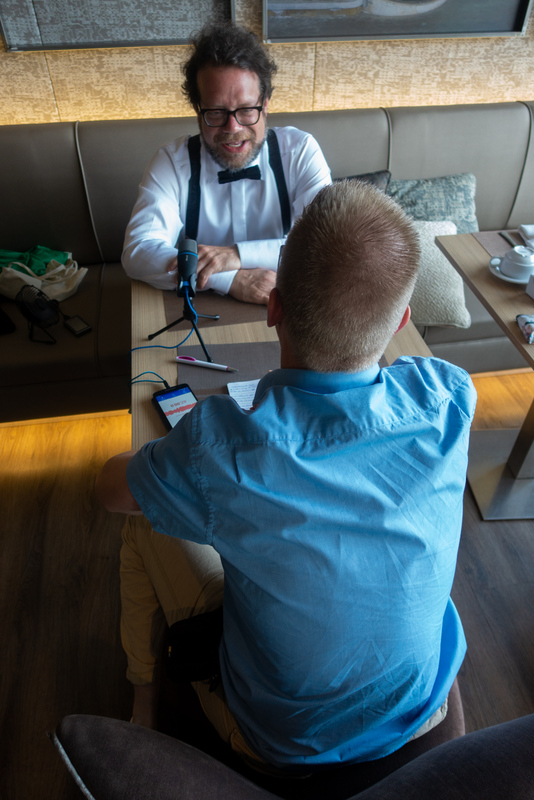 We had a great talk about what he did in the Netherlands a month before this interview, composing music for sequels and his diversity fund. The interview was held on July 7, 2018. Anton Smit: To start things off, could you tell in short who you are and how you became a composer for media? Christophe Beck: My name is Christophe Beck and I write music for movies, including Ant-Man and the Wasp, Frozen and the Hangover movies. AS: I am Dutch and, apparently, you were recently in my country. What did you do over there that I did not know about? CB: I am so excited you ask me that, because it is a very exciting part of my musical life. It is my love affair with modular synthesizers: it is a certain type of synthesizer that looks a little bit like the old telephone exchanges with a lot of knobs, jacks and you plug cables in to connect different parts of it together. To me, it is a very enticing and even addictive way of making music that exercises all the same parts of my brain that are exercised when I used to program computers. It is very much like programming computers, something I have always loved doing, and if I were not a musician, I am sure that is what I would be doing. One of my obsessions is to use these systems to make generative music. That means music that you never quite know how it is going to sound: using a lot of randomness and chance. It is not even a piece of music, you can think of it as an insulation, you can let it run all day, and it will be spinning out music in various ways. It is more about setting conditions for how music is created than actually creating the music. I have a few videos on Youtube of me performing with 80% composed and 20% randomly generated pieces of music. This got the attention of Colin Benders, who, in Utrecht, has been a successful musician for a long time and more recently got into the same way of making music with these synthesizers that I have. In fact, I was a big fan of his, have been for a few years, when he called me, to invite me to be part of this festival that he was putting on, where he invited a whole bunch of us, modular synth artists – I think there were eight of us – in a big warehouse. We each set up systems that would, basically, spew out music all day. We opened it to the public, and they walked in and wandered from station to station to check out our work. Mine was interactive: I had little buttons where I put labels on that did different things. Kids loved it. It is a sort of thing you might find in a science museum. It was really interesting to see people who never experienced the joy of feeling inside a piece of music before: to have something set up for them where, when they push a button or turn a knob, it changes something in the music that they can hear and they can appreciate instantly. A lot of various big smiling people playing with my equipment all day. 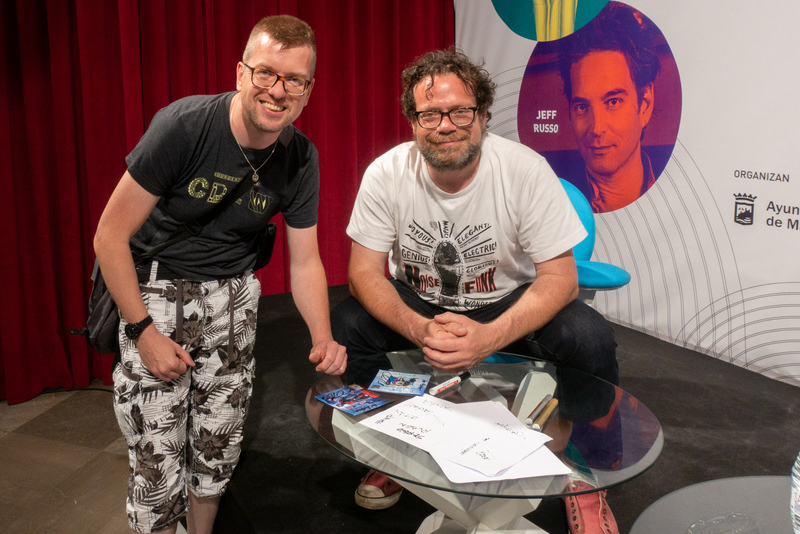 It was just a fantastic experience: Utrecht is a great town, Colin was a great host and I hope to do more stuff like that – it was amazing. AS: Talking about electronics: the choice between electronics or an orchestral score for movies and television, is it something you have a say in or is that always a director’s choice? CB: I have a say and depending on how convincing I am, sometimes have more of a say than other times. Also, it depends on the film and depends on the people making the film. I cannot go to the people that are making Frozen 2, which I am going to start in six months, and say “Hey, can we do a modular synth, abstract, experimental, electronic score for Frozen 2?” I cannot do that. 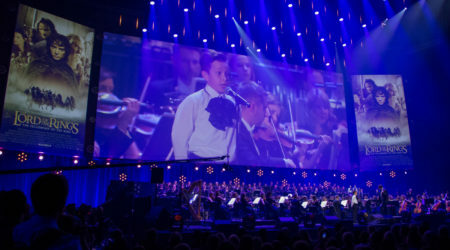 First of all, it is a sequel, but even if it were not it is still Disney: there is a certain sound that people associate with Disney and that is a little traditional symphony orchestra, you know Paperman notwithstanding. A movie like Frozen, a princess movie, a mainstream animated film like that from Disney is going to have a certain sound, and to stray too far from that sound is maybe not the best career move – especially if you insist on it. That said, because I love making electronic music so much, and I feel like there are ways to incorporate it in just about any kind of storytelling. I am always, I would not say pushing, but I would say encouraging the people I work with to let me interweave some of those elements into my scores. Just because tt is something that I love doing and if I am doing it well, it creates a certain type of a sound that is very unique, very personal to me and that sounds more like me than anyone else. So it becomes very rewarding for me and hopefully for the film as well. AS: Talking about sequels, Frozen 2 is coming and Ant-Man and the Wasp is now in cinemas. What kind of challenges do you have when you need to write music for a sequel where the score of the first one was such a success? CB: It is tough, especially with the first Ant-Man score, it is definitely one of the scores I am most proud of in my career, and it is a lot to live up to. Besides feeling the pressure of the success of the first score and wanting to match it at least or even exceed it. There is also a legitimate creative question to be asked and answered, which is: when you make a sequel, how much of the old material do you want to reuse, how much do you want to adapt and how much new material do you want to have in there. Especially with a movie like Ant-Man and The Wasp, which has several new characters, that is a lot of themes competing for limited space. It is also a difficult question to answer while you are working on a score, because as a composer you look at one scene at a time, and it is difficult to find the time to take a step back and watch a whole section, or even the whole movie without stopping, with demos of the cues in that screening: to get a sense of are we hearing too much of this or that theme, does it feel too much of a retread, is it repetitive, is it all over the place, does it need more or less repetition? That sort of thing. It is very difficult to answer those questions without sitting down and watching it. Over the course of Ant-Man and the Wasp, I made a point of watching a couple of reels at a time, even if it was not the whole movie. It was something that Payton Reed, the director, and I were constantly discussing back and forth: how much old Ant-Man theme or how much new Wasp theme do we want. Even Kevin Feige, the head of Marvel, chimed in at one point and said: “If there was ever a choice between old Ant-Man or new Wasp, let’s go with new Wasp, because this is The Wasp movie.” He really wanted it to feel like it was as much, if not more, The Wasp movie than Ant-Man movie. So that is a great question and there is no easy answer, except to just think about it a lot while you are developing the score and material and take whatever opportunity that you can as a composer to watch whole chunks of it and to get a feel for how the whole thing flows. AS: The scores for Marvel movies were very bombastic in nature until suddenly the beautiful and joyful score for Ant-Man came along. How did that come to be? CB: The first movie, was all about the fact that it was a heist movie. The main set piece in the third act of the film is a heist. The film itself has many of the classic tropes that you would expect to find in a heist movie. You get a montage of scenes of our characters planning the heist. Some of that takes the form of the character Luis in the film doing a funny narration: they put his voice in all the characters mouths and it is a kind of rapid-fire montage and it is very funny. They do another one similar to the three that were in the first Ant-Man in the sequel, and of course the big heist at the end of the film, basically the last third of the film. Because it was such a heist movie, I was able to sink my teeth into some of those retro and classic heist movie tropes: David Shire with The Taking of Pelham One Two Three, John Barry, all the classic heist slash spy sounds: bongos and vibraphones. It had a very retro sound, and it was wonderful, because that was a pretty easy way for me as a composer to make it sound different from any other Marvel movie. That is something that Marvel does very well, they do it all the time: with certain of their movies they fall into really specific and definitive genres like Captain America: The Winter Soldier was like a political thriller, and then Ant-Man comes along and it is a heist movie. Now, this sequel is a little bit less of a heist movie than the first one: there are still elements of it, so it was a little bit more of a challenge to keep it fresh and to keep it distinct from the other films. But definitely one of the things that still makes it different from most of the other Marvel films is the sense of fun and adventure that it has, because these films are comedies: they are light-hearted and they are not about the end of the world. It is about a guy and his daughter. 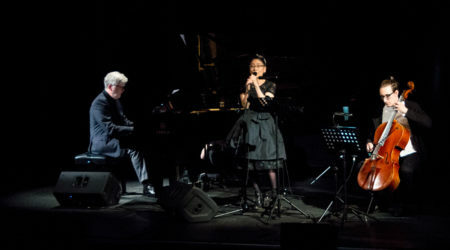 The themes still feel big, because the emotions are very strong, but because it is not apocalyptic, there is not the tendency and the temptation to always make the music to be gigantic. AS: Something completely different: You hit the news recently as an advocate of diversity of film score composers, could you tell me more about that? CB: I took time off of film scoring a few years ago and had some time on my hands. This was immediately after the success of Frozen, so there were some nice royalty checks coming in as well. I had always felt like I wanted to do something about the lack of diversity in my industry, and I told myself that if I ever had money and time that I would do something about it. Suddenly I found myself with some money and some time and after talking to a lot of my colleagues and a lot of the people who make hiring decisions, I decided that I would try to do something about it in two different ways. One of the things I kept hearing from people who hire composers when I asked them why they do not hire more women or people of color to be composers for their movies, their answer would be because there are none. Of course, we know that that is not true, but I understand where they are coming from, because it is not their job to go out and find these undiscovered talents, which surely there are. It is their job to please their bosses and to make sure that whoever scores their big budget movie is not going to screw it up and has the experience, dependability and the credits to make them feel comfortable about that. In order to expand the pool of available composers who are women or composers of color, I have been teaching high school kids in some neighborhoods of Los Angeles that are underserved. Sometimes it feels a little overwhelming: I am in a classroom, there are ten kids in front of me, and I think about the entire industry and how many people that is, and how young these kids are. It sometimes feels like a drop in the bucket, but it is a drop in the bucket and teaching has been extremely rewarding. I feel like my job is to expose these kids to my industry, which is a wonderful industry that offers tremendous creative rewards, and it is a great way to make a living. There are thousands of composers making a living out of it right now, but sadly 98 percent of them are white dudes. 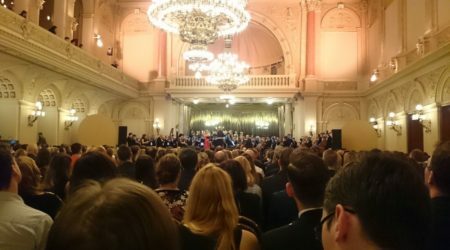 That is one side of it, the other side of it is, once a composer, who is either a woman or a composer of color, has actually made a decision to become a composer and compete in this field, they often have more hurdles than white men do. People assume, for example, that a female composer can only write tender family dramas, that you would never consider a woman to score a muscular action film, which is tough for them. I am the beneficiary of the prejudice on the other side as well. I can walk into a room and people will assume, because I am a white man, that I can do both: that I can write an action score and that I can also write a tender family drama. But if you are an African-American composer, good luck getting a job on a mainstream family comedy unless the cast is also African-American, in which case: okay. To help those composers get a leg up, I partnered up with SESAC, which is a performing rights organization that I belong to in the US. We started a diversity fund that is going to subsidize post-production budgets for low budget films that have already hired female composers or composers of color to help them. We would take it on a case-by-case basis, but typically I image would be to help pay for an orchestra or it could be a mixing engineer, or music editor, basically, whatever they need to make the finished product better. This is a win-win for everybody, because the producers of the film get a better finished product, the composer gets also a better produced, better sounding product – not only for the film but also for the demo reel for the future. So that is sort of my way of attacking the problem from two different sides. AS: Final question, what can we expect from you in the near future? CB: Oh that is an easy one. I am starting a Netflix film right now called The Christmas Chronicles, with Kurt Russell as Santa, that will be appearing on Netflix for streaming around the holidays. Right after that is done, Frozen 2 is going to take up a lot of my time. After that, another animated film that I cannot talk about too much yet, because I have not been officially hired yet, but things look good and I am optimistic that I will be soon.